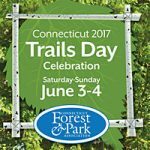 Walk the trails of the Stony Creek Quarry and Red Hill Woods Preserves in the heart of nearly 1000 acres of preserved land, 9:30 – 11:30am. Points of interest along the 3.5 mile hike include a Native American rock shelter and evidence of historic quarrying. Meet on Quarry Road. Directions: I-95 Exit 56, south on Leetes Island Road for 1.5 miles. Left onto Rt.146 for ½ mile, Quarry Rd on left. Parking lot at end of pavement. Click here for details or call 203-514-8554. 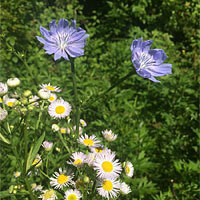 Lauren Brown leads this late spring walk at the Vedder Preserve to identify native plants and flowers. Begins at 2pm. Meet in Stony Creek at the west end of West Point Road, which is across from the Willoughby Wallace Library. For info, call (203) 747-4184. Led by Martha Rice, 12:30 – 2:30pm. Horseshoe crabs may be our oldest and best friends. Come learn about the research program under way and help measure and tag some of these fascinating creatures. Co-sponsored by the First Congregational Church of Branford. For info, call (203) 747-4184. Stop by the BLT booth and see what else we’ve been up to lately! SEE YOU TUESDAYS IN JUNE! Stop by the Stony Creek Brewery Tuesday nights in June and help support the BLT! 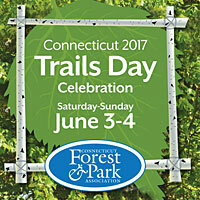 Have a beer, meet some BLT volunteers, and enjoy the evening knowing that $1 from every pint sold will be donated to the Branford Land Trust.